Are you addicted to Hearthstone? Blizzard's collectible card game exceeded all expectations, but then again, Blizzard has always been known for putting out quality games. 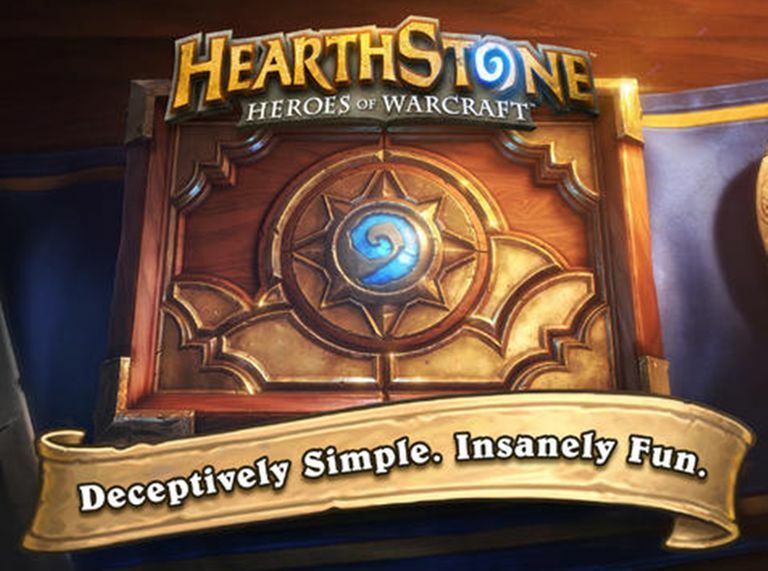 Hearthstone manages to combine an easy-to-understand ruleset with subtle tactics that create a strategy game with surprising depth. But for those looking to move beyond Hearthstone, there are plenty of great battle card games available from the app store. Need for good strategy provides challenge. Cards can be hard to see. It's difficult to mention Hearthstone and not draw immediate comparisons with Magic: The Gathering. Magic has defined the card battle genre for over a decade, having popularized the idea of the collectible card game in the early 90s. Magic Duels is the latest incarnation of Magic: The Gathering on the iPad, and it may very well be the best. Magic Duels turns the strategy up to 11. If you love Hearthstone but are looking for something more in-depth, Magic Duels is a good start. Adds role-playing to the mix. Too much to keep track of. BattleHand manages to mix battle card antics into a role-playing strategy game. As a defender of the kingdom, you will use your deck of cards to battle through baddies, slowly collecting new cards along the way. You can think of BattleHand as a single-character role-playing game that uses cards to resolve the battle. It also doesn't take itself too seriously. Not great for solo play. Ascension is a rather interesting twist on the deck-building aspects of collectible card games. Rather than earn new cards between games, you purchase cards within the game. This is done by playing cards that give you runes, which you can then use to purchase new cards. But victory is ultimately determined by the player with the most honor, and honor is acquired through killing monsters. So you'll have to balance your desire to buy new cards by playing cards that give you power, which you can then use to kill monsters and gain that precious honor. It's a fun mix that plays out in part like a board game and in part like a card game. If you love the card-playing aspects of Hearthstone but want something a bit different, Ascension is a great choice. Good choice for those who like Dungeons and Dragons. Requires deliberate, gradual strategy that can frustrate those who prefer fast play. If you are ready for a big departure from the standard card battle game, Pathfinder Adventures will give it to you. More of an interpretation of a pen-and-paper role-playing game than any other card game, Pathfinder Adventures combines multiple character parties, old-fashioned dice rolling, and tons of cool cards to create one of the more ambitious card games on the App Store. And, as a free-to-play game, this is definitely one you will want to check out. Lots of variety from game to game. Fun and easy to learn. Might seem generic to seasoned gamers. While Ascension has some aspects of a board mixed in with what is fundamentally a card battle game, Lords of Waterdeep is a board game with some card-like aspects. Through eight rounds, you will collect resources like thieves and warriors to complete quests and gain points, which will ultimately decide who will be the ruler of Waterdeep. You can force mandatory quests on your opponent, steal their resources, or just concentrate on your own quests. Each game gives you a new patron, and each patron favors a different type of quest, so each game is a bit different. The Best Free To Play Games to Play Now!